For kids who love the experience of sleeping over at some friends or relatives’ house, more fun is added to activity as they pack their things because of the kids’ overnight bag they will be using. This overnight bag for kids is great for school activities where kids can store and carry a lot of their school stuff and still look cute and trendy. That’s part of the fun being a kid! The bag’s durable canvas material makes it easier for moms to hand wash the bag gently to keep it looking neat and new as well. It is handmade to ensure quality and durability for kids to store a lot of their stuff without having to worry about a little tear here and there. Not only is this bag great for carrying only school stuff but also great for any of your kid’s outdoor activities as well. Use it as a travel bag where kids can store their more of their stuff to carry wherever they go. 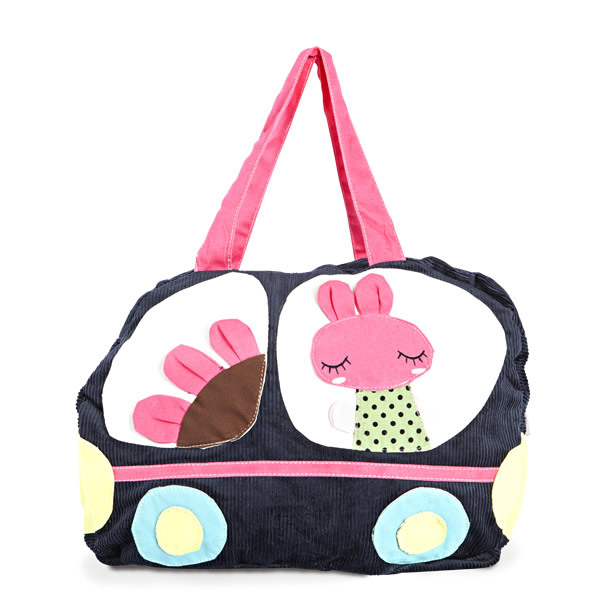 Having a sleepover with pals is a fun activity for kids, pump up the excitement a little more with Little Miss Bus Ride Overnight Bag where they can store their stuff and look fashionable.